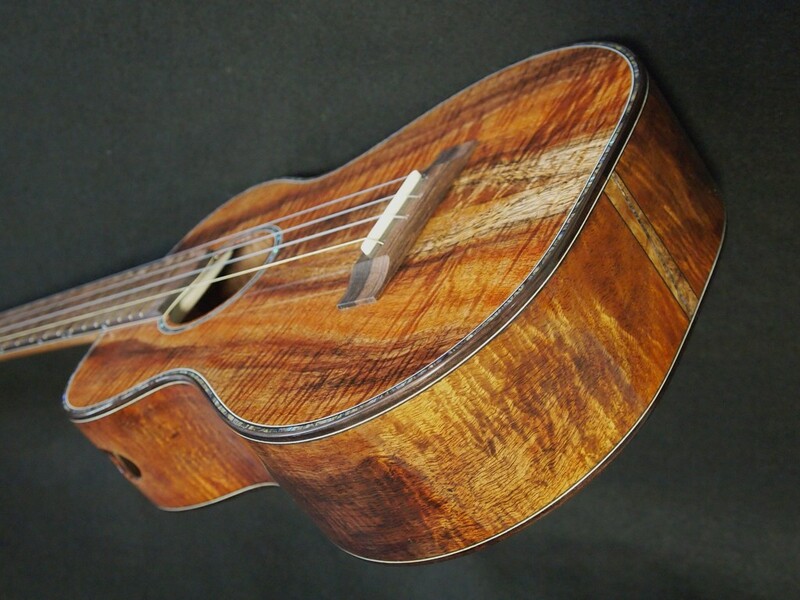 It seems that requests for Baritone Ukuleles Are Getting Hot Again. 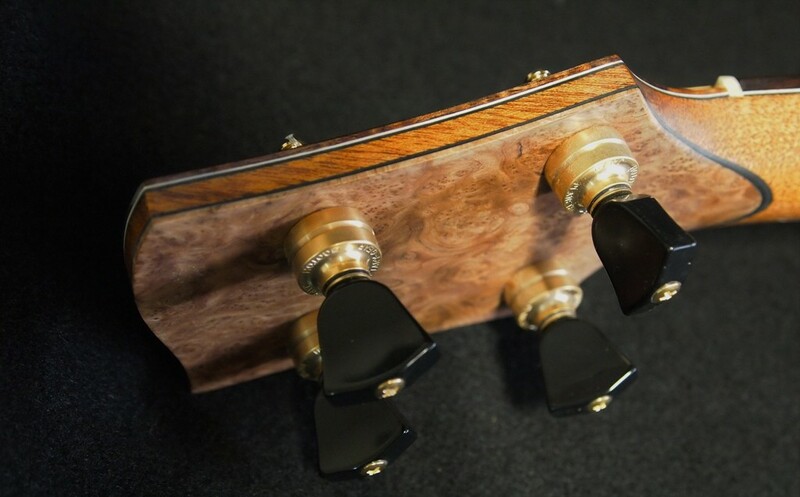 Lately there has been more interest in this small “almost a guitar” than ever. 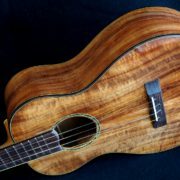 Trying to keep up with the demand, I delivered this new Koa Baritone to Hale Ukulele last week. 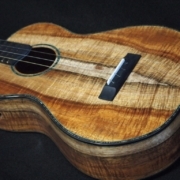 This instrument is made out of a great piece of salvage koa wood. Every one of these sets has had a different look. I only have one more set left and that is already spoken for. Hopefully, I’ll be able to find some more in the future. 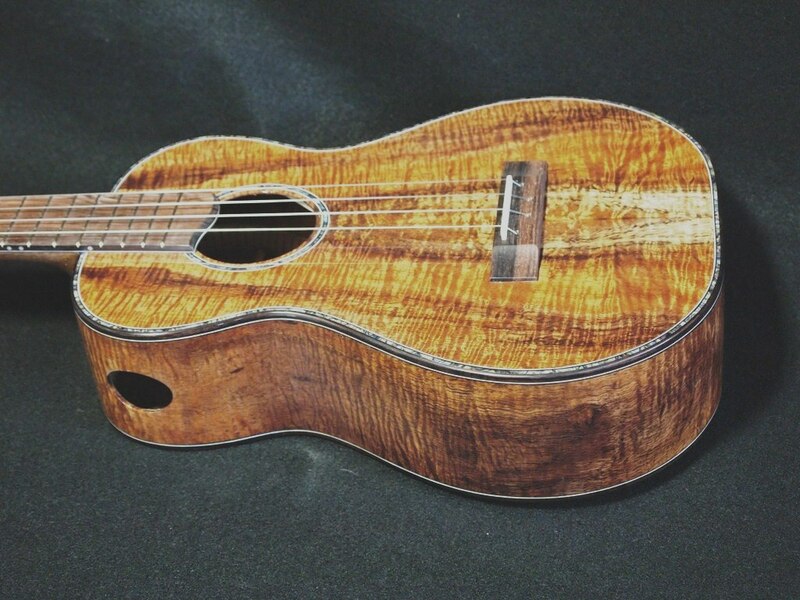 The pictures don’t do this koa justice. There is tons of crinkle curl, a little bit of spalt and fun grain patterns to keep the eye wandering. 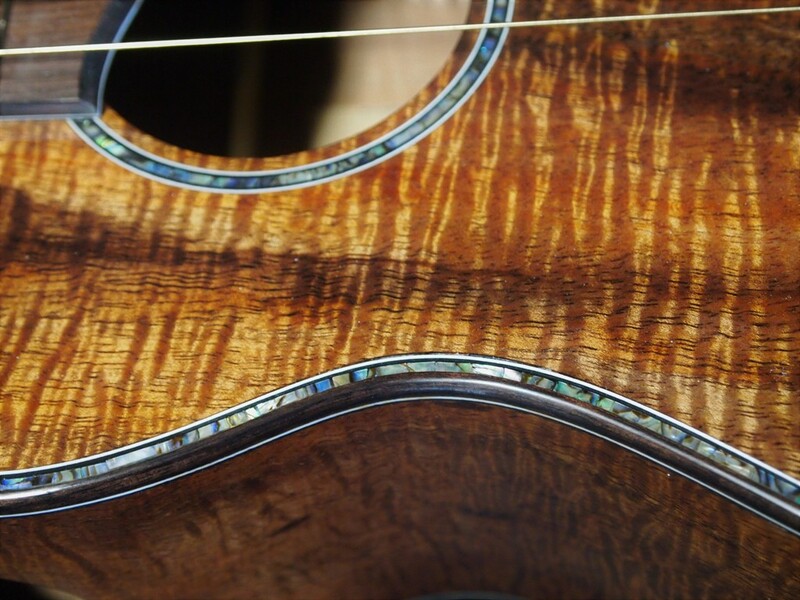 The dirty looking spots on the sides are full curl as well but just one of the things you have to live with when using older salvage woods. It’s almost a standard instrument: a Honduran Mahogany for the neck, Amazon Rosewood for the fret board and bridge, Asian Satin Wood Burl for the accents and India Rosewood for the binding. 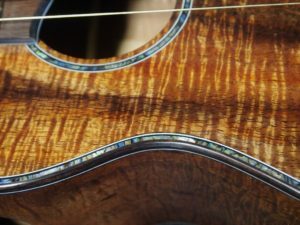 For strings, I used Romero La Bella concert/soprano flourocarbon with smooth brass wound low “G” which gives this instrumenty a smooth, balanced sound. 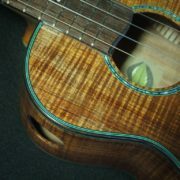 I added some Blue Paua Abalone and white/black fiber to the sound board. Hey, that’s about it. 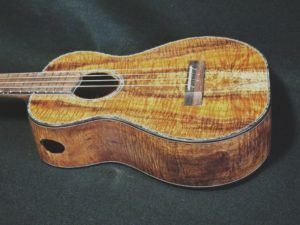 Baritone Ukuleles Are Getting Hot Again. I love playing these instruments with their “almost a guitar” sound.